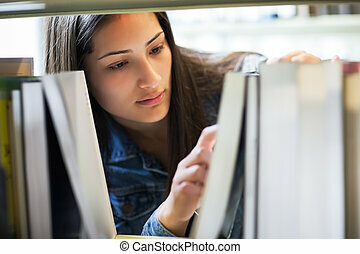 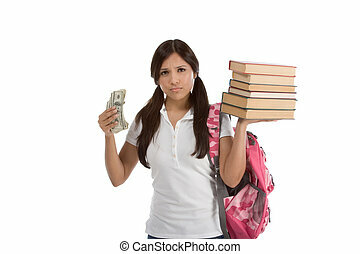 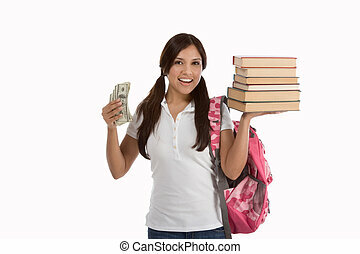 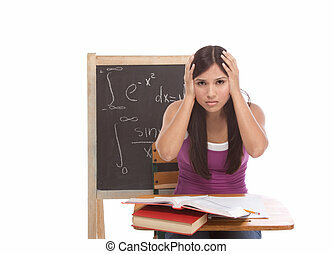 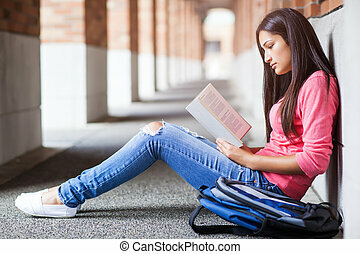 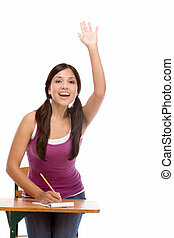 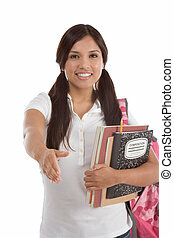 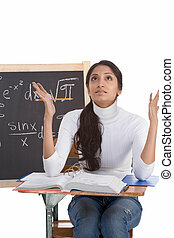 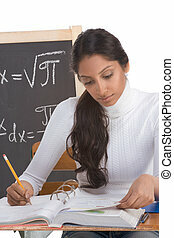 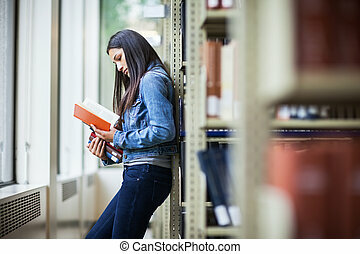 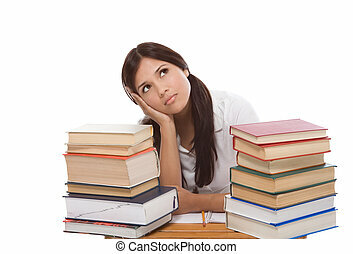 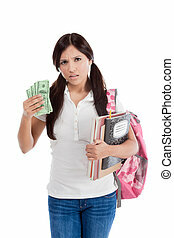 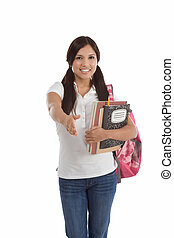 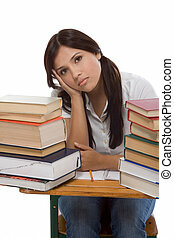 Hispanic college student woman studying math exam. 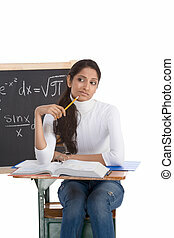 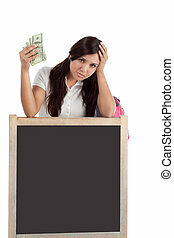 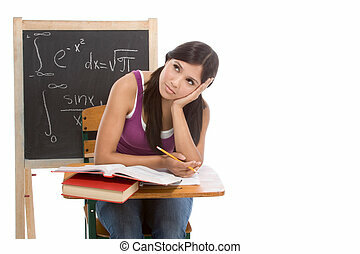 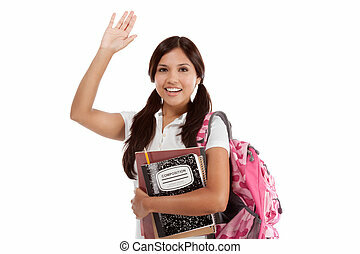 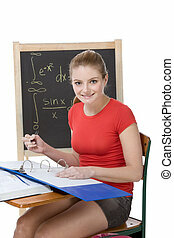 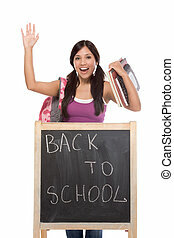 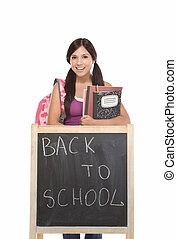 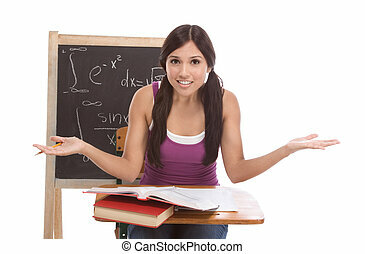 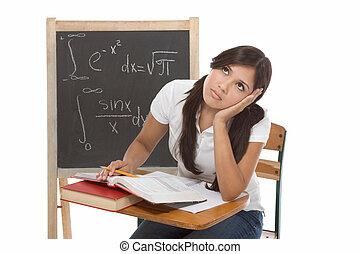 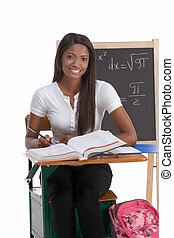 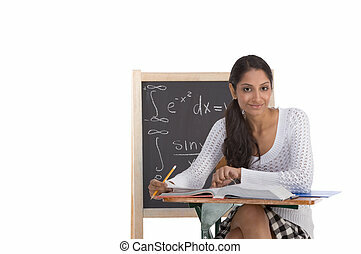 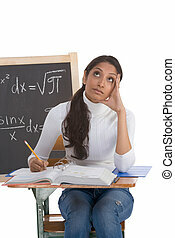 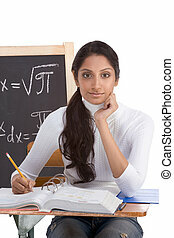 High school or college female student sitting by the desk at math class. 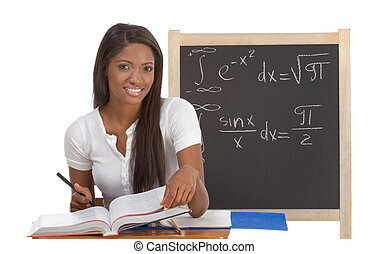 blackboard with advanced mathematical formals is visible in background.